No Cutting, just sew together. Animal Quackers Rail Fence Quilt kit includes pre-cut cotton fabric f..
No Cutting, just sew together. Babe in the Woods Blue Flannel Rail Fence Quilt kit includes pre-cut ..
No Cutting, just sew together. Four Square Coastal Chic Batiks Quilt kit includes pre-cut cotton fab..
No Cutting, just sew together. 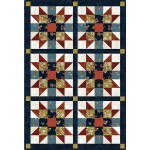 Irish Chain English Countryside Quilt kit includes pre-cut cotton fab..
No Cutting, just sew together. 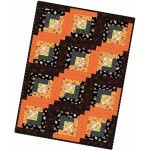 Irish Chain Java Batik Bright Quilt kit includes pre-cut cotton fabri..
No Cutting, just sew together. Irish Chain Poinsettia and Pine Quilt kit includes pre-cut cotton fab..
No Cutting, just sew together. Irish Chain Roly-Poly Snowmen Quilt kit includes pre-cut cotton fabri..
No Cutting, just sew together. 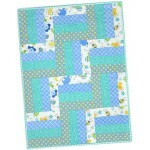 Little One Flannel Rail Fence Quilt kit includes pre-cut flannel fabr..
No Cutting, just sew together. 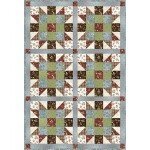 Poppies Rail Fence Quilt kit includes pre-cut cotton fabric for top, ..
No Cutting, just sew together. 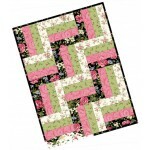 Raspberry Cream Rail Fence Quilt kit includes pre-cut cotton fabric f..
No Cutting, just sew together. Sister's Choice Japanese Garden Quilt kit includes pre-cut cotton fab..
No Cutting, just sew together. 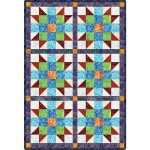 Sister's Choice Java Batik Brights Quilt kit includes pre-cut cotton ..
No Cutting, just sew together. Sister's Choice Poinsettia and Pine Quilt kit includes pre-cut cotton..
No Cutting, just sew together. Sister's Choice Quilt kit includes pre-cut cotton fabric for top, bin..
No Cutting, just sew together. Sister's Choice Roses on the Vine Quilt kit includes pre-cut cotton f..
No Cutting, just sew together. Animal Quackers Log Cabin Quilt Kits include pre-cut cotton fabric an..
No Cutting, just sew together. 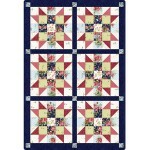 Berries and Blossoms Log Cabin Quilt Kits include pre-cut cotton fabr..
No Cutting, just sew together. Broom Hilda Log Cabin Quilt Kits include pre-cut cotton fabric and pa..
No Cutting, just sew together. Catalina Rail Fence Quilt Kits include pre-cut cotton fabric and patt..